The spreadsheet can be customized with your own particular assessments, but it contains the basic tests that Indiana teachers use: NWEA, I-READ, ISTEP, among others. 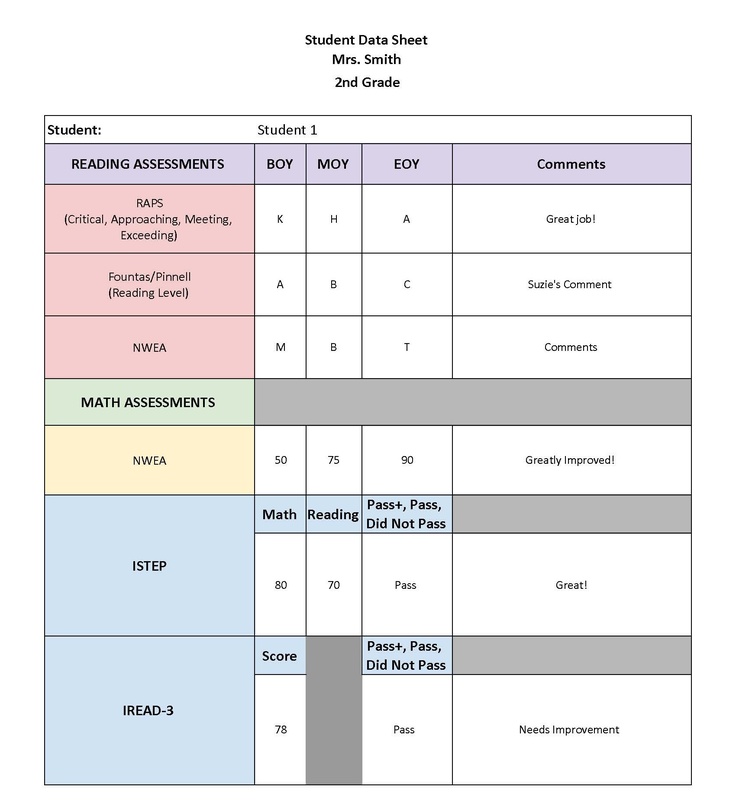 All data is entered on the DATA tab and the system generates a 1-page report for each student that displays the data in an easy-to-read report. 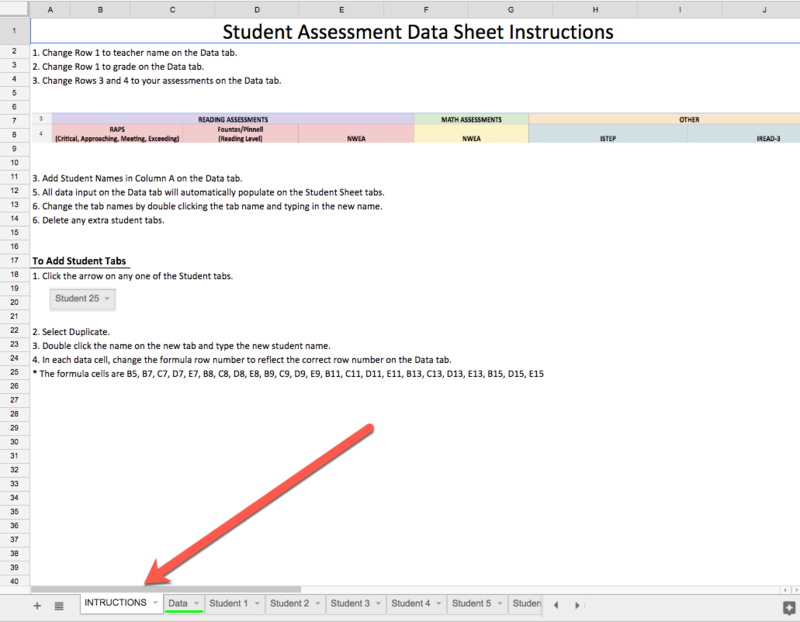 Customize the student's names and enter scores on the DATA sheet. The names and data will appear on separate tabs as a report that can be downloaded or printed off as PDFs. Step 1: Read the instruction tab. It provides step-by-step instructions for using the spreadsheet and customizing or adding rows/tabs for more students. 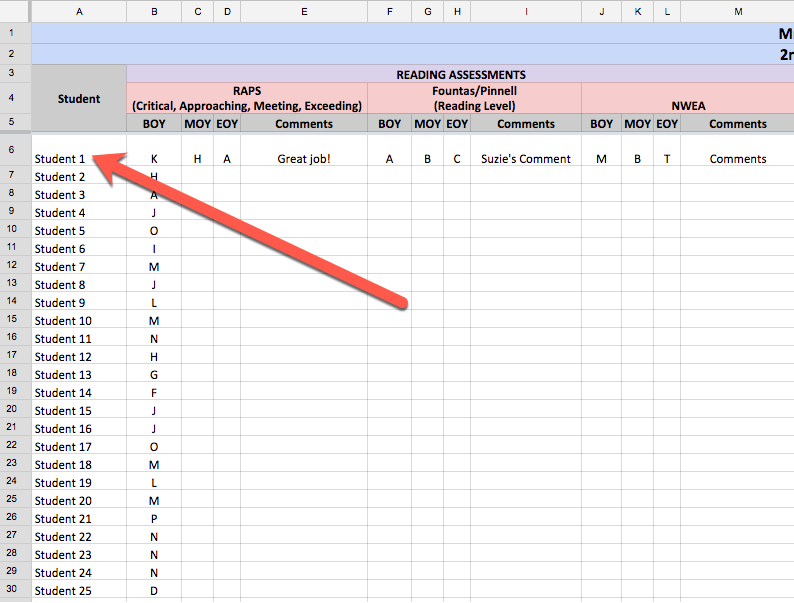 Step 2: Customize the spreadsheet to include assessments particular to your class or school. Step 3: Enter your students names, evaluations, test scores, and comments. 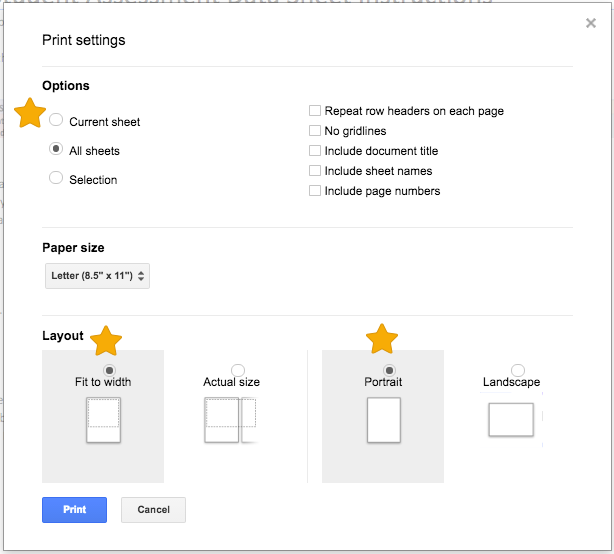 Step 4: Print sheets or save to PDF for printing later. Tip—Test one student sheet first before printing them all to make sure formatting is just right. Select as your layout: "Fit to Width" and "Portrait".